The city centre squares (Hviezdoslav Square, Eurovea) give you a winter skating opportunity at a number of well-prepared open-air ice rinks. Skates and skating props for children are available for hire. This year Bratislava has once again a franchise playing in the KHL, a leading league that annually attracts thousands of spectators from a number of countries. Join HC Slovan fans and experience a true hockey atmosphere as the team faces off against teams such as CSKA Moscow and Dinamo Minsk. If you are a fan of great views definitely do not miss the UFO Tower. 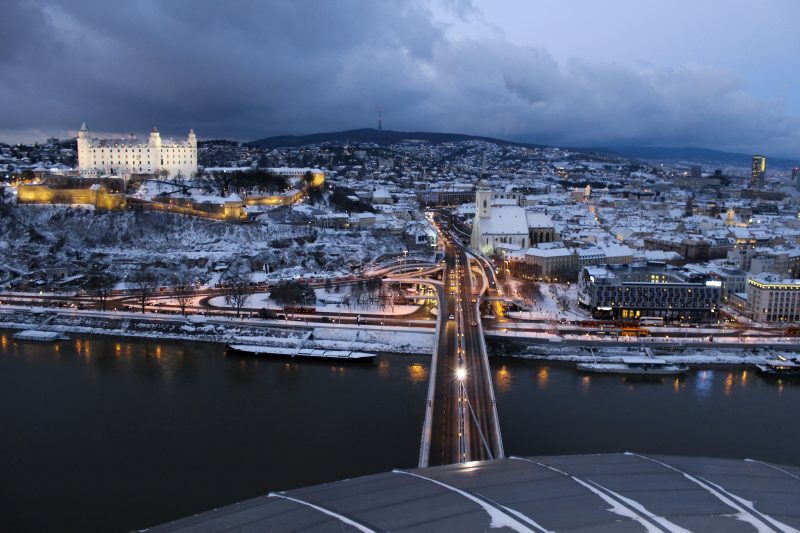 It offers a beautiful sight of Bratislava from 95 metres. Inside the tower there is an exceptional restaurant where you can try great meals as well. Looking at the Danube flowing slowly past the city as you walk along the embankment is the perfect way to relax. Enjoy the pleasant neighborhood around River Park or the newly-built Zuckermandl center, where you can take a moment to relax over a coffee or a snack. If you opt not to drive, ride in one of Bratislava’s modern trams and let it take you to the charming center of town – and there is no charge to ride city transit if you are carrying the Bratislava CARD. 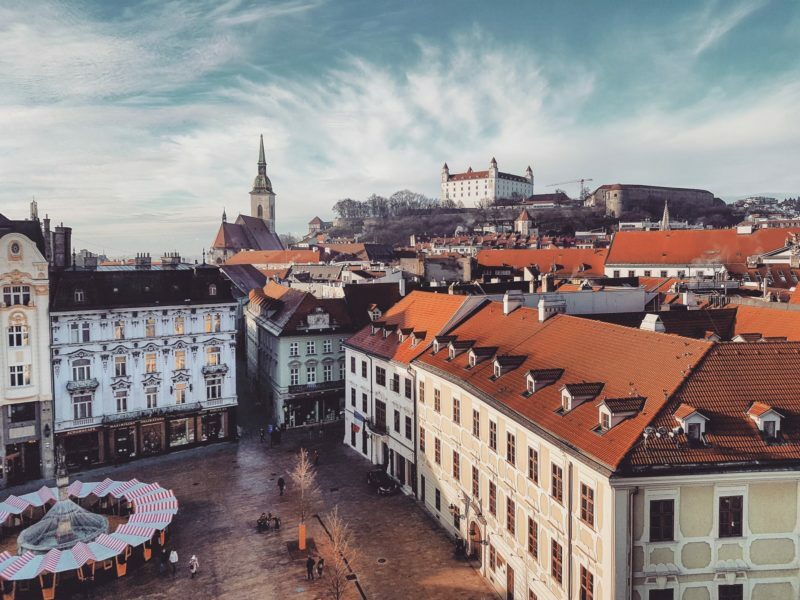 Beautiful square Hlavné Námestie with a view of Bratislava in winter is indeed an incredible sight not to be missed. Moreover, many cafés and restaurants are just a hop, skip and a jump away, so after you climb down from the Old Town Hall tower you can reward yourself up with a hearty meal. Winter in Bratislava has something even for gourmets. 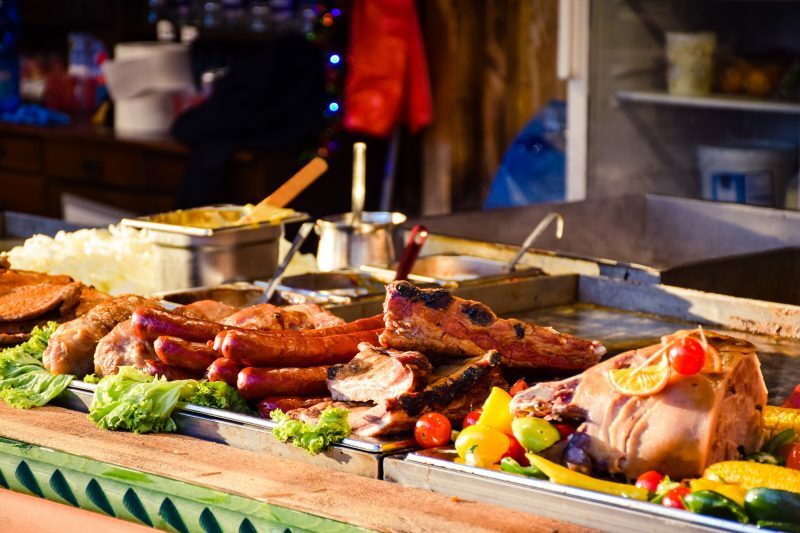 Now is the time to try such local specialties as goose, veal cutlets and thick goulash, to fill your stomach and warm you up in cold weather. Select from restaurants like Savoy, Zylinder or Leberfinger, and you’ll definitely go away with enthusiasm for the dining experience these places offer. 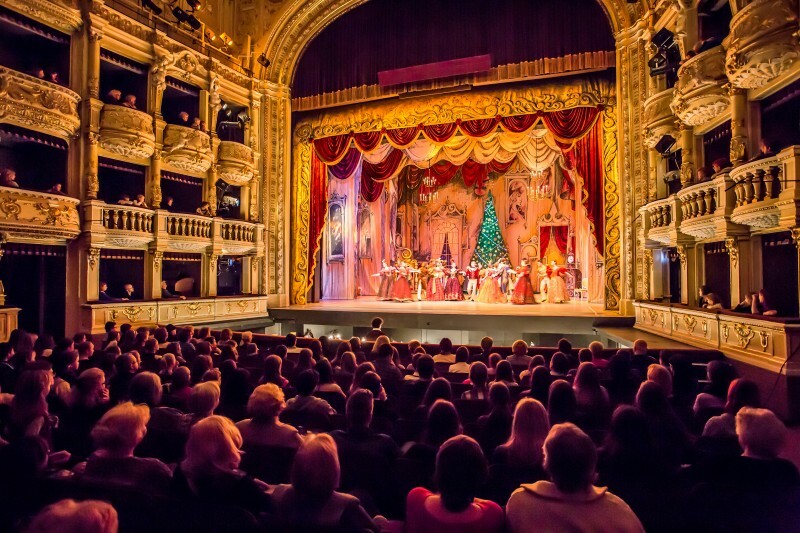 Come and have your spirit be warmed by such cultural experiences as opera, ballet and musical performances at the Slovak National Theater and played by the Slovak Philharmonic Orchestra. Christmas (and unquestionably the time after Christmas, too) includes shopping for family and friends. 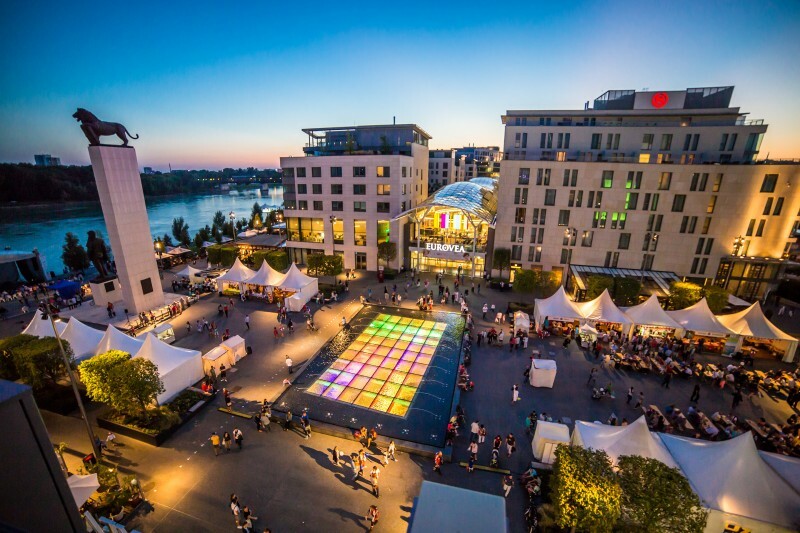 The best gifts you can find are ready and waiting at Eurovea, the shopping mall right on the Danube where you can choose from many world-known and local brands. It doesn’t matter whether you are gifting design socks, books or delicious coffee as presents, you can find everything at Eurovea. And if you wish to buy something original, then come visit the design shops such as Slávica or Slowatch in the very center of the city and you won’t leave empty-handed. Winter is the time to visit Bratislava’s many museums and galleries, ever ready to delight even the most discerning art enthusiasts. Danubiana Meulesteen Art Museum is presenting “My Friend Picasso”, an exhibition of the world of Spanish artistic genius Pablo Picasso through pictures taken by photographs of Edward Quinn. At Nedbalka Gallery, you can view the creative work of Slovak modern art legends known here as the “Galandovci”. 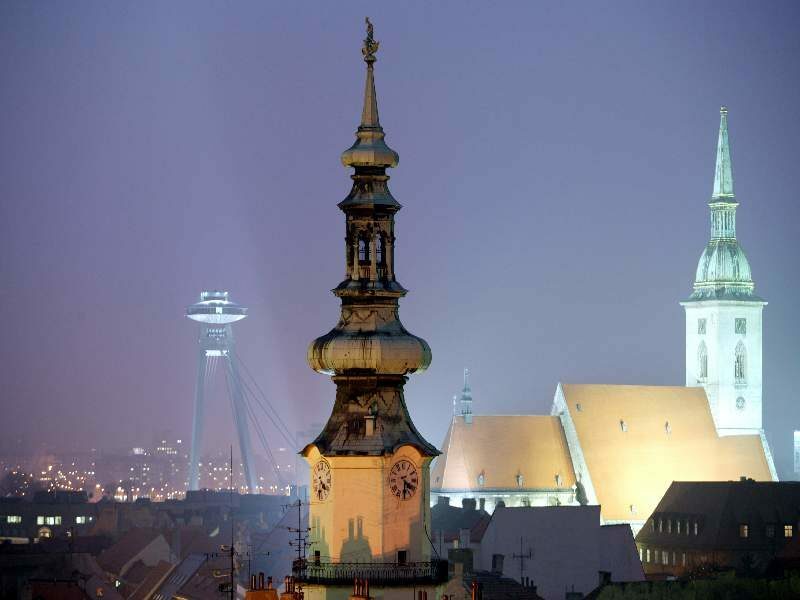 Many eye-catching exhibitions can be found at any of the city’s museums and art galleries, all of which offer free admission to Bratislava CARD holders. 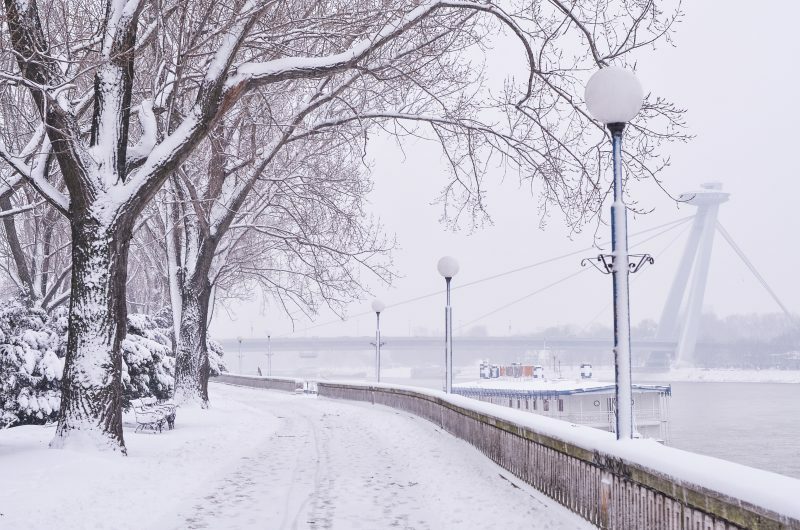 Relax and indulge yourself at Bratislava’s parks and gardens, which even in winter are still full of charm and magic, whether you find them covered with snow or not. 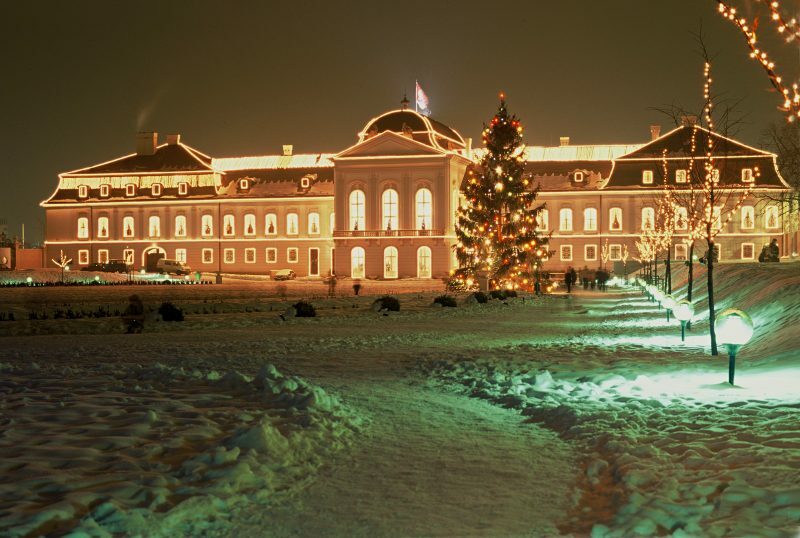 Visit the Bratislava Forest Park, where you can take a cable car between Železná Studnička and Kamzík, or enjoy riding a sleigh over the gorgeous snowy landscape. Meanwhile Horský Park, only a few minutes away from the city center, offers a place for the ultimate peaceful winter holiday. Welcome to a winter fairytale country.